In 1973 we moved, along with the Lodges from Walsall into our present Temple which was consecrated by WBro Harry Wilson-Keys the then Provincial Grand Master along with his team. It was a terribly hot night and the Temple was packed above capacity. Sadly the PGM passed away a few days later. At the Consecration panic almost reigned when it was found that we had wine and oil but no corn. Robert Spencer jumped into his car and called upon local farms, there were some in those days, and returned in the nick of time with a handful of corn. 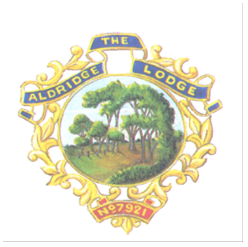 Things have changed since those early days when, including visitors, we regularly had 60 to 70 at our Lodge meetings and our Ladies Nights were also well attended. WBro Tom Williams, our founding secretary, had 240 at his Ladies Night. Our founder WBro John Spencer recalls ’ I was his secretary for the event with the table plan alone presenting a major task ‘. Our Lodge today is much reduced in numbers, but the signs are good with both initiates and joining members coming forward. WBro Eric Lowe, our first Senior Warden, started the tradition of supplying the Spanish onions for our festive board which carried on for many years. WBro Jack Hamilton, our first Junior Warden, became mayor of Sutton Coldfield in 1970/71 shortly before it became incorporated into Birmingham. ladies songs. WBro Ted Archer, another great voice, who took over when WBro Dan was called to the Grand Lodge above. WBro George Barnett, a real character who was called boomer Barnett from his booming voice. WBro Harry Lockley for his royal wave to all and sundry when entering and leaving the Lodge. Then there was delightful George Farnsworth who was initiated at the tender age of 79, a record for us, who stewarded for a few years until illness and old age forced him to resign. WBro Gwil Powell was Master of the Lodge in 1987 and again in 1999. Gwil was very active in Masonry, a great ambassador for the Craft and a true gentleman. His passing on 11th August 2004 was a sad loss to all that knew him and the Fraternity as a whole. Bro Andy Greaves was a gentle giant. A former Barbados Police Officer who sadly passed away on the 18th February 2014 aged just 42 years.